Realism, especially in its classical form, is far from being ready for the dust bin of the history of International Relations theory -- as some critics suggest. Since the end of the Cold War realism has returned to its roots. Realist scholars show renewed interest in their foundational thinkers, their tragic understanding of life and politics, their practical concern for ethics and their understanding of theory as the starting point for explanatory narratives or forward-looking forecasts that are highly context dependent. Despite their different perspectives on world politics, the writings of Thucydides, Niccolò Machiavelli, Edward Hallett Carr, Reinhold Niebuhr, Arnold Wolfers, John Herz, Hans Morgenthau and Hannah Arendt demonstrate a remarkable unity of thought as they were driven by similar concerns about 'perennial problems' (Morgenthau 1962, 19). One of these problems is the depoliticisation of societies. Realists were concerned that, in modern societies, people could no longer freely express their interests in public, losing the ability to collectively contribute to their societies. Consequently, realism can be perceived as a critique of and 'corrective' (Cozette 2008, 12) to this development. It may seem strange at first, but one way to see how realism relates to today's world is to look back to its roots -- via its earlier scholars -- rather than dwell on some of the later developments in realist theory, such as neorealism. For this reason, this chapter will revisit realism to offer a contemporary perspective on what is, most probably, the oldest theory of IR and, most certainly, IR's most significant theory family. Mid-twentieth century realists, often called 'classical' realists, were a diverse group of scholars. Although their geographical centre was in the United States (with some exceptions), many of them were émigrés from Europe who had been forced to leave due to the rise of fascism and communism in the 1930s. Although they shared a common humanistic worldview in the sense that they had received similar extensive secondary schooling in liberal arts and believed that people can only experience themselves as human beings by engaging with others in the public sphere, their diversity is also evidenced in their wide range of professions. Given that IR was only gradually institutionalised in Europe when the first chair was set up in light of the horrors of the First World War at the university in Aberystwyth in 1919, none of them were trained as an IR scholar. Instead, they were historians, sociologists, philosophers, lawyers and even theologians. Only retrospectively were many of them linked to IR. Even Morgenthau, arguably the best- known realist, held a professorship for political science and history, not for International Relations. Despite this diversity, however, mid-twentieth century realists agreed on a tragic vision of life -- a view they shared with many of their predecessors (Lebow 2003; Williams 2005). This is because people, and more so leaders, have to make decisions on the basis of incomplete information, deal with unpredictability of their actions and cope with irreconcilable value conflicts within and among societies. Above all, they recognise that leaders must sometimes resort to unethical means (such as violence) to achieve laudable ends -- and without prior knowledge that these means will accomplish the ends they seek. This tragic outlook is understandable if we consider the contexts in which these classical realists wrote. Thucydides lived during the times of the Peloponnesian War in which Athens lost its pre-eminence in the ancient Greek world. 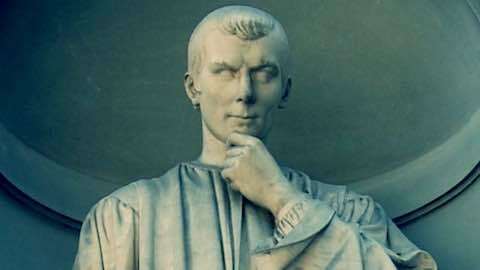 Machiavelli's life was also influenced by repetitive conflicts in which papal, French, Spanish and other forces aimed to seize control over Northern Italy during the Renaissance Wars (1494--1559). Modern realists finally experienced with the rise of ideologies the climax of a development that had started almost two hundred years earlier. Since the Age of Enlightenment culminating in the French Revolution, people were freed from religious straightjackets. But simultaneously they had lost a sense of community that ideologies such as nationalism, liberalism or Marxism could only superficially restore -- and often only at the cost of violent conflicts. Realists shared public sentiments that losing this sense of community caused a decline of commonly accepted values as exemplified in the German debate on a cultural crisis during the early decades of the twentieth century. This made them more susceptible to the temptations of ideologies. This is because ideologies provide what Arendt (1961, 469) called 'world explanations', enabling people to channel their human drives into them. John Herz (1951) argued that the drive for self-preservation, which ensures that people care about their survival in the world by seeking food and shelter, provokes a security dilemma because people can never be certain to avoid attacks from others. Morgenthau (1930), by contrast, was more concerned about the drive to prove oneself, achieved by making contributions to one's social-political life worlds. Success is difficult because people have incomplete knowledge about themselves and their life-worlds. Any political decision must always be temporary and subject to revision if circumstances change or knowledge is being advanced. In realising that their ambitions are in vain, another tragic aspect of life comes to the fore. For Morgenthau, accepting this tragic aspect is a first step toward transcending it; people can reflect critically about their existence and come to understand that only through their own efforts can life become meaningful. In modernity, however, having lost values as a basis to make informed judgements, peoples' lives are characterised by what Steven Toulmin (1990, 35) called a 'quest for certainty', but very few manage to deal with the hardships self-critical contemplation entails. Most, as Nietzsche noted, content themselves with the illusions of being embedded in some form of community. Therefore, on the level of nation-states tragedy looms large because people live in political communities that are charac- terised by the same deficiencies that hamper the human condition. Given that these drives affect people on every level, realists do not distinguish between domestic and international politics. Rather, they focus on political communities however they may be conceived because it is through peoples' relations that these human drives start to affect politics. In these relations, power plays a decisive role. Due to the drive to prove oneself, a balance of power evolves in interpersonal, intergroup and international relations to counter ambitions of political actors to gain the ability to dominate others. This balance of power is not stable but evolving because actors face a security dilemma, meaning that, due to uncertainty, actors live in constant fear. This compels them to amass further power, only causing the same reaction in their potential adversaries. Hence, it is less physical or material constraints that lead to a balance of power and more emotional insecurity. Ironically, therefore, balance of power works best when needed least because if people and communities share some form of common identity, they can cooperate more easily and do not require a balance of power. However, human drives have an even more dramatic effect on societies beyond the evolvement of a balance of power, as they can depoliticise them. This concern is central to the realist thought of Hans J. Morgenthau. He opposed the more common friend enemy/distinction and defined the political as a universal force that is inherent in every human and that necessarily focuses on others, while at the same time it only comes into being in inter- personal relationships. The resulting discussions, in which people express their interests, create an 'arena of contestation' (Galston 2010, 391). Realising their individual capabilities and experiencing power through acting together, people develop their identities, as they gain knowledge about themselves and their life-worlds. The tragedy of human imperfection, however, endangers the political, as it fosters the development of ideologies. Given that most people cannot face their imperfections, ideologies offer some form of ontological security. This means that ideologies provide people with a sense of order and it helps them to conceal the initial meaninglessness of life, as ideologies offer explanations to historical and current socio-political events. Particularly fascism and communism occupied the minds of classical realists, as they were the most violent ideologies during their lifetime, but they were also critical of the hubris of American liberalism and nationalism in general. For realists, ideologies aim to retain the socio-political status quo and any human activity is geared towards sustaining this reification. The current socio- political reality is perceived as given and it cannot be fundamentally altered. The development of the political as a realm in which people can voice their interests freely and share their thoughts about the composition and purpose of their political community endangers the socio-political status quo, as it potentially encourages socio-political change. To cope with this depoliticisation, realists put forward what can be called an 'ethics of responsibility', to use Max Weber's term. Although realists were convinced that most people would be unwilling or incapable of taking responsibility for their lives, they still argued for an ethics in which decision-making is guided by 'intellectual honesty' (Sigwart 2013, 429). Thoughts and beliefs have to be contextualised in a self-critical process that demonstrates empathy towards the position of others. The resulting 'discourse ethic', as Arendt called it, can only happen in collectivity. American town hall meetings provided the perfect setting for Arendt to illustrate this, as they allow all people who share a common interest to congregate. As a consequence, however, people have to be prepared to change their positions and be willing to take responsibility for the moral dilemmas of (inter)national politics. Contrary to common assumptions, realists are not apologists of the nation- state, but critical of it, aiming to avoid its dangers and transcend its shortcomings by investigating the potential of a world-state (Scheuerman 2011). For a variety of reasons, classical realists considered states to be 'blind and potent monster[s]' (Morgenthau 1962, 61). They are blind because globalisation and technological advancements not only hinder them from fulfilling their role of providing security, but endanger life on earth altogether. Particularly strong versions of this critique can be found in Aron, Herz and Morgenthau. The latter provided a disenchanted view on the prospects of humanity in one of his last public appearances, arguing that we are living in a 'dream world' because nation-states can no longer uphold the claim to have a monopoly of power over a given territory due to the development of nuclear weapons. Furthermore, the squandering of natural resources threatens the environment, leading to a 'society of waste' (Morgenthau 1972, 23). However, nation-states are also potent because in gaining sovereignty over a specific territory and a specific group of people, they exert violence on these people and on others. Nation-states universalise their own standards and even try to impose them onto others, as evidenced in the rise of fascism during the early twentieth century in Europe. After seizing power in countries like Italy, Germany, Spain and Croatia, fascist movements not only waged wars internationally (ultimately leading to the Second World War) but also exerted violence domestically by ostracising ethical, religious and socio-political minorities. Furthermore, technological advancements complicate human life- worlds, accelerating socio-political decision-making processes. This benefited the development of scientific elites, who are unaccountable to the public, but who in their attempt to socially plan the world affect people in their everyday lives greatly. Since 2011, millions of people have become displaced from Syria due to the civil war there. This has been exacerbated by migration flows coming from other states in Africa and the Middle East due to various political and economic circumstances. By 2015 the issue had been declared a crisis in Europe -- the destination for many of the migrants. Focusing on this crisis might not seem to be an obvious choice, but many realists were refugees or migrants themselves. Indeed, Herz (1984, 9) characterised himself as a 'traveller between all worlds' and Morgenthau was even a 'double exile' (Frankfurter 1937) after his expulsion from Germany and later Spain before arriving in the United States in 1937. Beyond this point, realism provides useful insights into this crisis as we can investigate the conditions for a peaceful coexistence of differences. This is important, as the refugee issue has been identified as one of the reasons why the British public voted to leave the European Union (EU) in the 2016 'Brexit' referendum. It has also been implicated in the rise of right-wing parties throughout Europe and the victory of Donald Trump in the 2016 US presidential election. Refugees and migrants are clearly being pictured in security discourses as a threat -- and to measurable effects. Relating the work of mid-twentieth century 'classical' realists to this modern development enables IR scholarship to understand that security is established in a discursive context, making it dependent on spatio-temporal conditions. This means security has different meanings in different contexts and therefore it is transformative (Behr 2013, 169). This puts realist thought into affinity with the critical theories that ostensibly seem opposed to it. Given that both groupings found stimulation in the same sources, one of which was Karl Mannheim's Ideology and Utopia (1929), this is unsurprising. One of the key concepts in Mannheim's book is the conditionality of knowledge. This means that knowledge is always bound to the socio-political environment in which it operates, stressing that universal knowledge is impossible. Applying this notion to the current refugee crisis, we understand that perceiving refugees as a threat to security is the result of human will and political agency. For example, the refugee crisis was one of the dominant drivers of British Brexit-discourses, although the UK received fewer than 40,000 asylum seekers in 2015. By comparison, approximately 890,000 refugees chose Germany as their destination the same year, making Germany the European country that accepts most refugees in relation to the overall population. This is not to say that this process always takes place consciously as we can never be entirely sure how our writings or actions are perceived by others, but classical realism can help us to understand that humans are not only the objects of security but also its subjects. In public discourses, people have the opportunity to redefine the substance of security, instead of leaving it to international foreign policy elites. These discourses can evolve violently, as they include the interests of all involved people. To avoid this looming danger, realists stress the possibility of dialogical learning, as current scholarship calls it, to increase the potential to morph these discourses into a common good. This form of learning is based on continuous possibilities of exchange between refugees, migrants and local people and it requires all groups to demonstrate open-mindedness and empathy as well as the willingness to challenge one's own positions. As a result, security can be redefined and what is perceived to be a crisis can be eventually understood as an opportunity to create something 'which did not exist before, which was not given, not even as an object of cognition or imagination' (Arendt 1961, 151). Recall that classical realists were sceptical of the promises of modern nation- states and argued for the establishing of a world community, eventually leading to a world state. Such a global community would help to transcend the depolitisation in modern societies and even support 'defenders of the global state to stay sober' (Scheuerman 2011, 150). Such sobriety would be beneficial to add to the academic and political debate on migration. After all, the root of the migration crisis in Europe was that certain states, and certain influential groups within them, decided to enforce the metaphorical and physical walls of their borders and limit (or block) migrants from entering due to perceiving them as a security threat to their nation. By enabling people to get together on different levels, political spheres can extrapolate beyond national borders, allowing people to exchange their interests globally and gradually develop an identity that goes beyond that of the state. It also allows for different images of the migrant, or the refugee, to gain traction -- to replace the negative ones that became widespread in Europe by 2015. The flexibility found within the classical realist literature allows people to accommodate diverse human interests. The resulting self-reflexivity and open-mindedness helps life trajectories influenced by different historical, cultural, socio-political or religious factors to be accepted. In political spheres, people are acknowledged for their differences and, through discussion, a common ground is established that is at least acceptable to citizens at a basic level. If this can be done within each state, then it is possible that it can be done at the global level. If such an end can be attained then there will be no migration crises in the future as a global citizenry will exist. Classical realists did not arrive at this conclusion straight away. Rather, scholars like Morgenthau and Niebuhr were sceptical at first of international organisations like the United Nations and the early forms of the European Union. However, they soon realised that they provide the space (if used as they had hoped) for the political to gradually evolve, as different actors can get together peacefully and exchange their ideas at the international level. In this segment we have introduced a perspective on realism that is probably unlike what may be found in other IR theory textbooks. It was our ambition to introduce students to a more nuanced perspective on realism, to set it apart from neorealism, and to demonstrate that realism can help us to develop a more critical awareness of international politics. Realism, especially in its classical form, is therefore far from being ready for the dustbin of the history of IR theory -- as some critics suggest. It can serve as a stepping stone to question some of the common assumptions held in the discipline, propose solutions to some of the contemporary problems in international relations and show us how we can create more inclusive societies. Felix Rösch is Senior Lecturer in International Relations at Coventry University. He works on encounters of difference in transcultural and intercultural contexts at the intersection of classical realism and critical theories. He has published articles in Review of International Studies, European Journal of International Relations, International Studies Perspectives, and Ethics & International Affairs. His most recent books include The Concept of the Political (2012), Émigré Scholars and the Genesis of International Relations (2014), and Power, Knowledge, and Dissent in Morgenthau's Worldview (2015). Richard Ned Lebow is Professor of International Political Theory in the War Studies Department of King's College London, Bye-Fellow of Pembroke College, University of Cambridge and the James O. Freedman Presidential Professor (Emeritus) of Government at Dartmouth College. His most recent books are National Identifications and International Relations (Cambridge 2016), Avoiding War, Making Peace (Palgrave 2017), and Max Weber and International Relations (Cambridge 2017). This is an excerpt from International Relations Theory an E-IR Foundations beginner’s textbook. Available now on Amazon Click Here: International Relations Theory (E-IR Foundations) and via a free PDF download. Kindle and other e-reader versions are available via the relevant stores/apps. Find out more about E-IR's range of open access books here. World News: "A Contemporary Perspective on Realism "